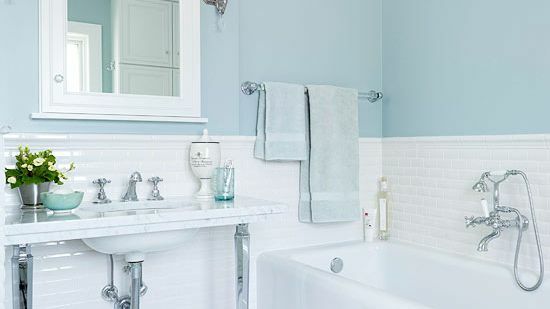 Beaded board is the perfect cottage-style accent for baths; it's inexpensive, durable, and easy to install, plus it adds instant charm to any space. 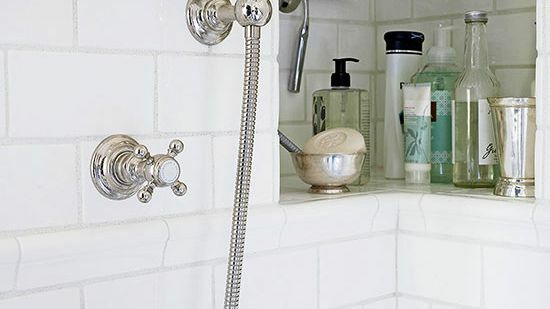 Steal one -- or more -- of these ideas to incorporate into your own bath. 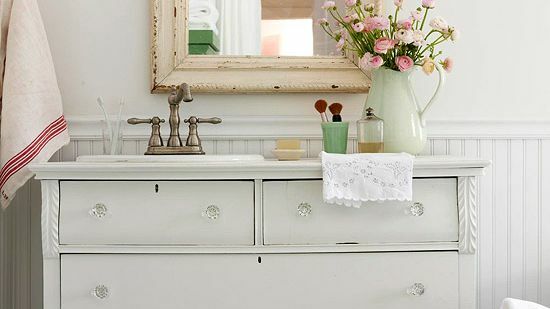 White beaded board creates gorgeous texture and visual interest in this tiny powder room. 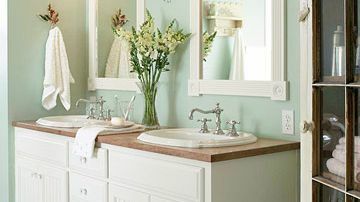 Vertical beaded-board panels make the small bathroom look and feel larger while setting the perfect backdrop for vintage-inspired accents. Even a small amount of beaded board can have big impact. 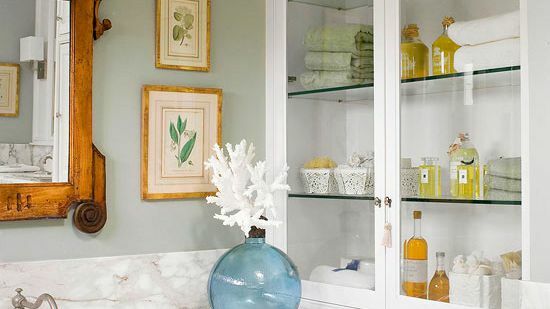 Narrow-plank beaded board provides a stylish backdrop for this built-in storage unit at the foot of the tub. 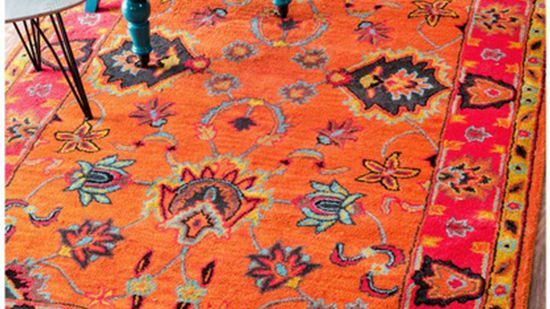 Create an unexpected twist by turning beaded board on its side. 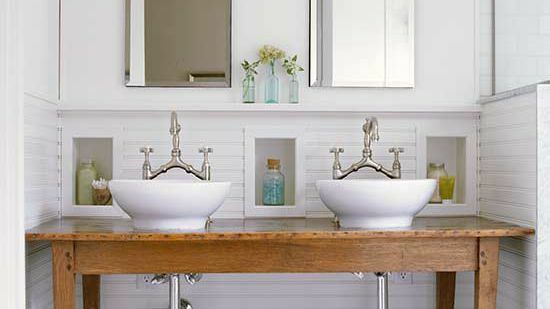 The horizontal lines create the illusion of space in this small sink alcove. The unique tabletop counter looks light and airy in the tight space. 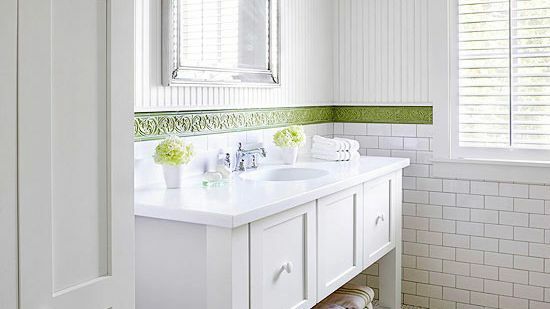 In small spaces like the bathroom, a little bit of patterned wallpaper can go a long way. 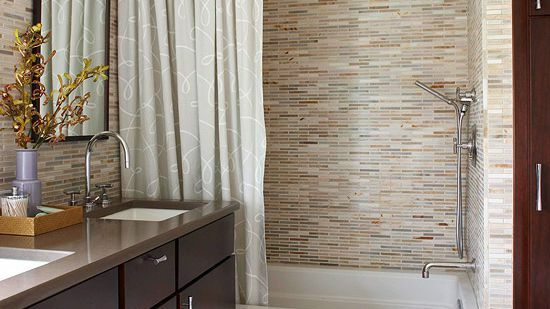 Beaded board behind this pedestal sink creates a visual break while helping protect the wall from splashes. If an angled ceiling prevents floor-to-ceiling beaded board, just install it to the top of a doorway. The thick trim at the top of these beaded-board panels provides definition and emphasizes the tall ceiling. 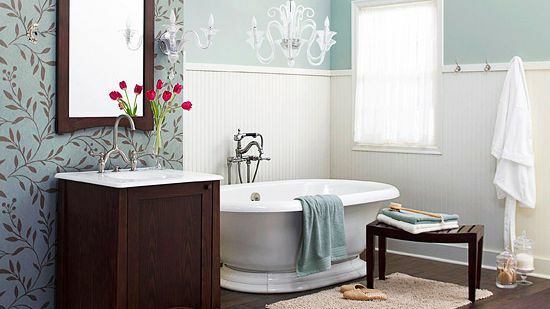 Instead of classic white, subtly punch up bath color with painted beaded board. 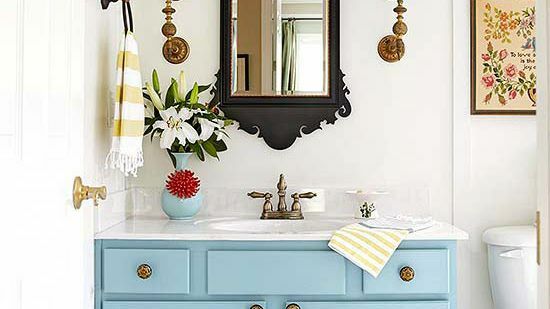 The material is easy to paint, and you don't have to commit color to the whole room. 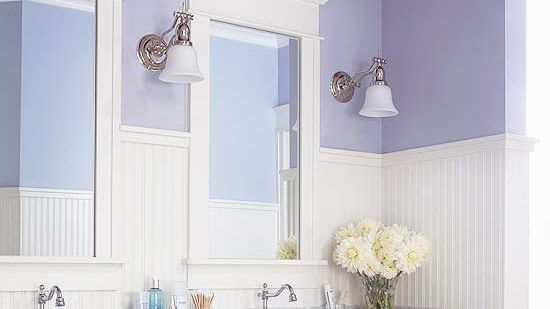 For an extra splash of personality, the homeowners chose to put painted beaded board on the top half of the walls in this comfy cottage bathroom. 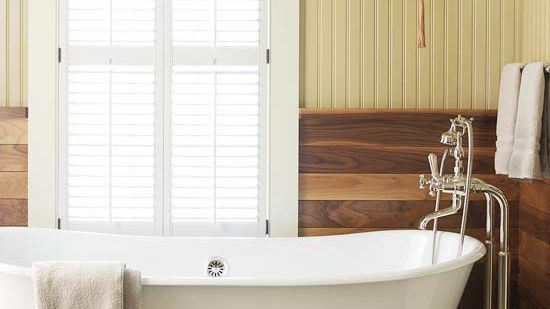 Beaded board is a classic choice for a tub surround. 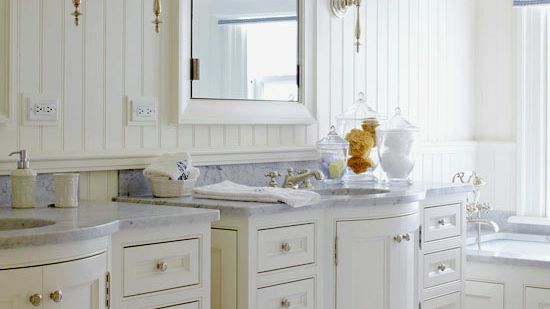 The look is refreshing, and it easily disguises the access panels needed for jetted tubs. 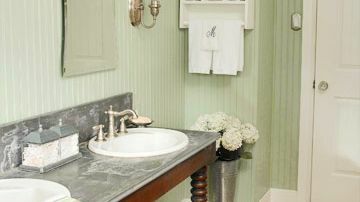 Plus, the texture is subtle enough to blend with stone countertops and flooring. 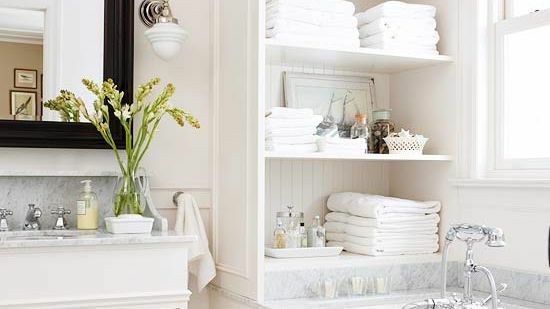 Add dimension to an all-white bath with beaded board. 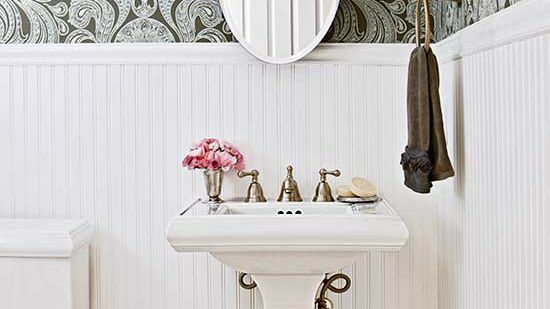 In the same color as the walls, beaded board adds a hint of texture and complements traditional cottage styling. Top beaded-board panels with a narrow strip of trim to create space-saving shelving. It's a great place to display candles, bath salts, and other small decor items. 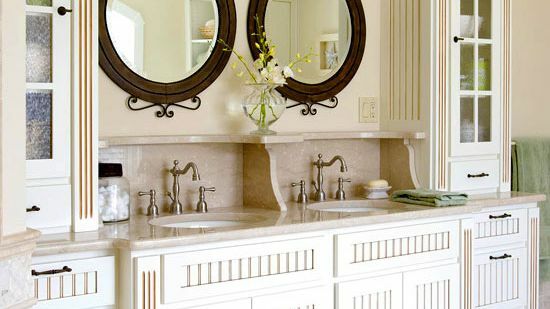 Incorporate beaded board into cabinetry for a custom-made bathroom design. 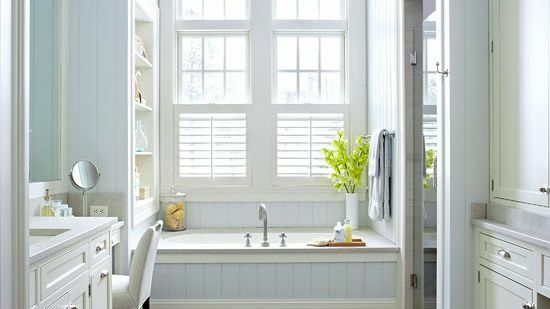 Rather than traditional cabinet fronts, try integrating beaded-board fronts for a cottage-style look. 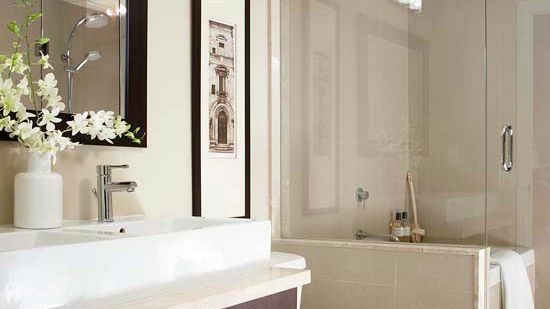 Beaded board on the ceiling gives a bathroom a designer look. The small planks on the ceiling provide contrast from the larger-plank version on the walls, and add texture to an all-white space. 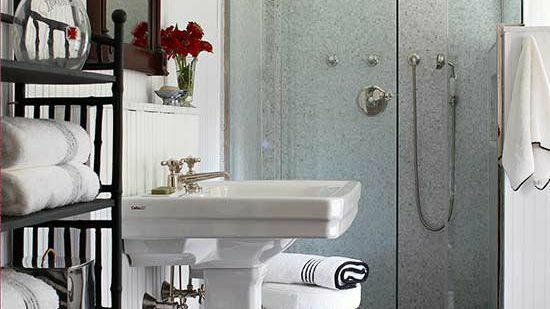 These homeowners added some unique appeal to their cottage-style master bath. 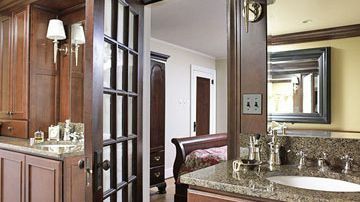 Here, dark-stained beaded board emphasizes the arched ceiling over the double vanity. 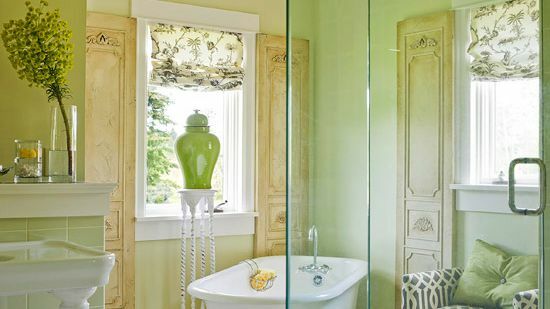 For an all-over cottage look, use beaded board from floor to ceiling. 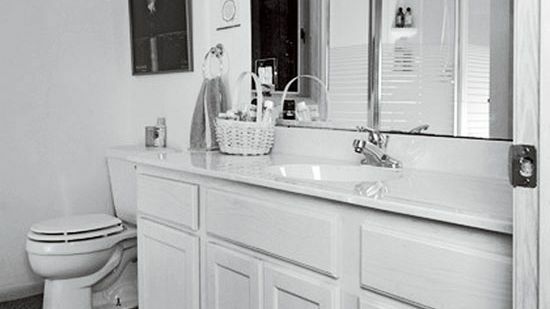 Make sure you choose a beaded board with small planks to avoid overwhelming a small bathroom space. Even a small amount of beaded board can have big impact. Narrow-plank beaded board is used on the lower portion of these walls. Wide-plank beaded board on the ceiling makes the space feel more open and airy. 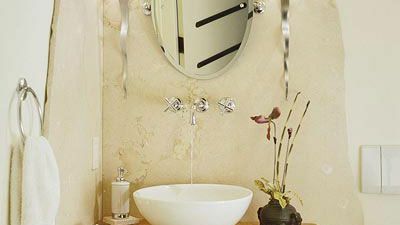 Install beaded board up to within a few of feet of the ceiling for a solid backdrop for a vanity or mirror. 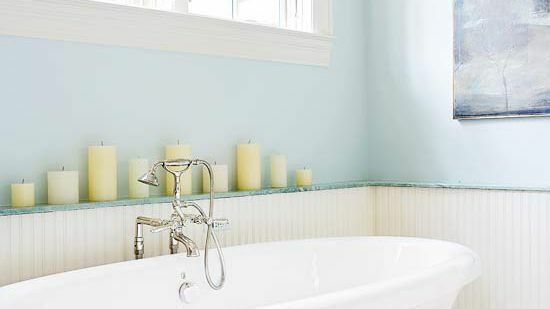 For a cottage look, use beaded board from floor to ceiling and paint with a soft, relaxing color. 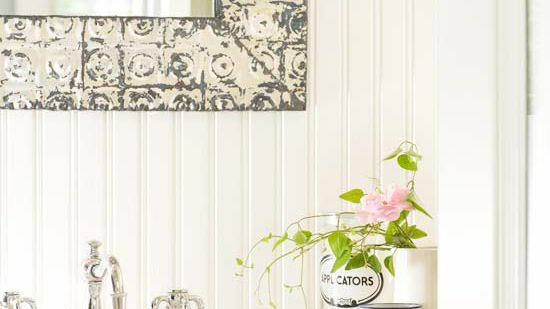 Create an original look by turning beaded board on its side. The horizontal lines create the illusion of space in this small alcove.